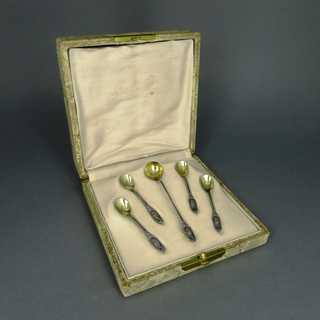 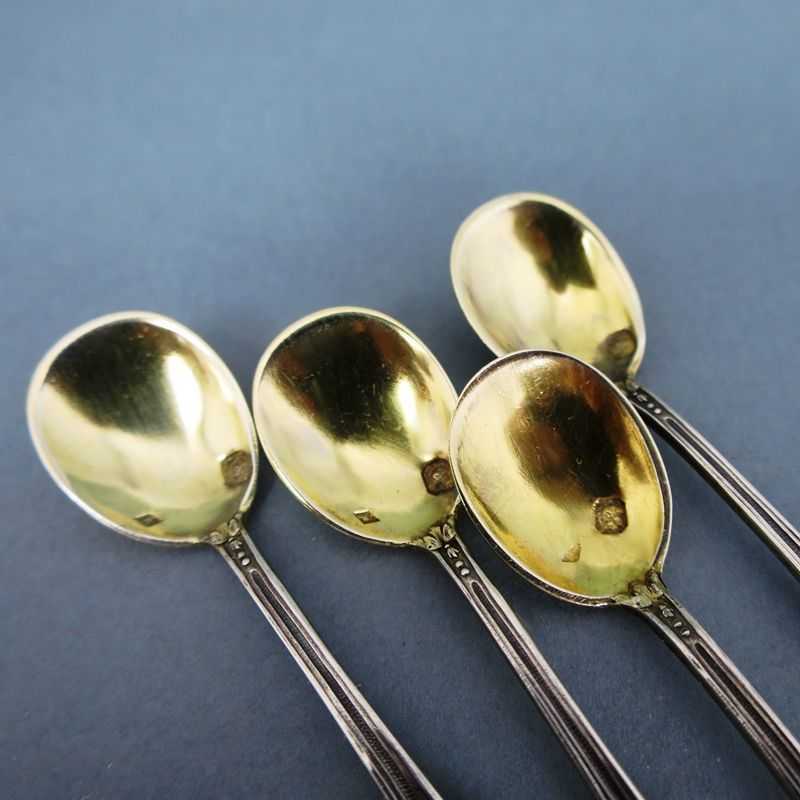 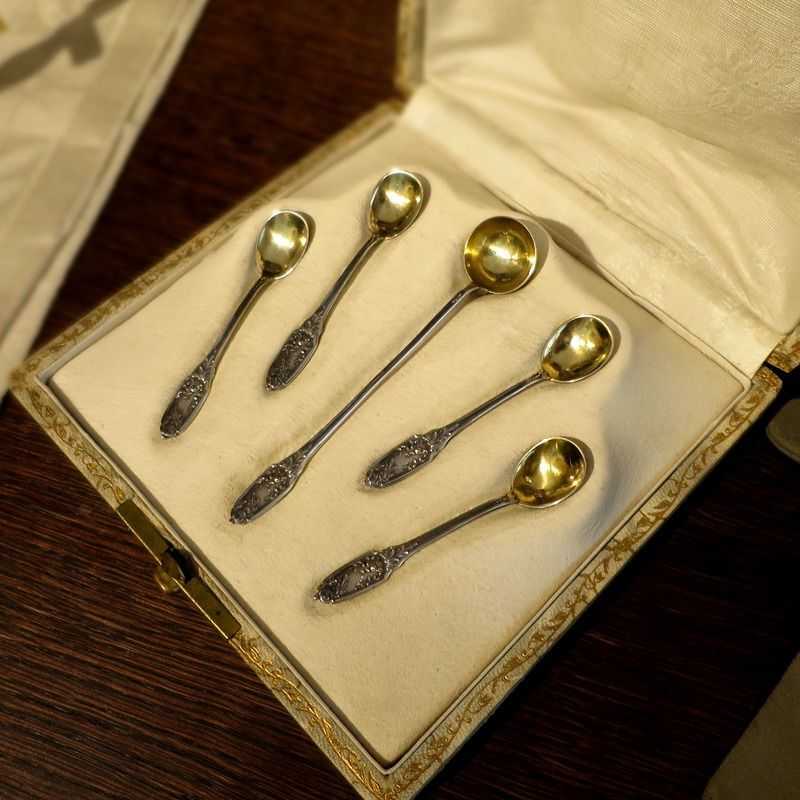 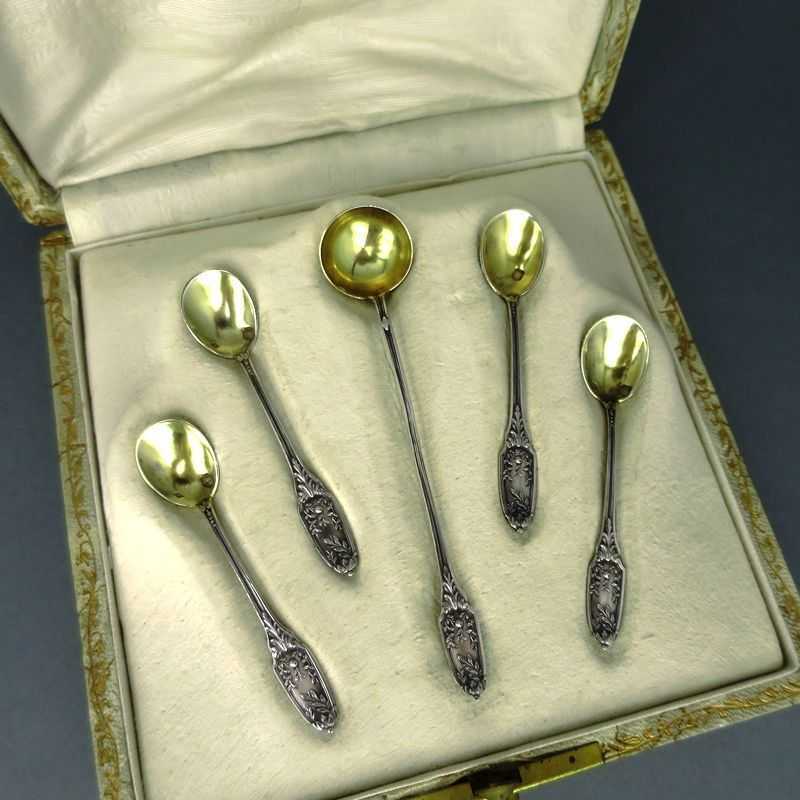 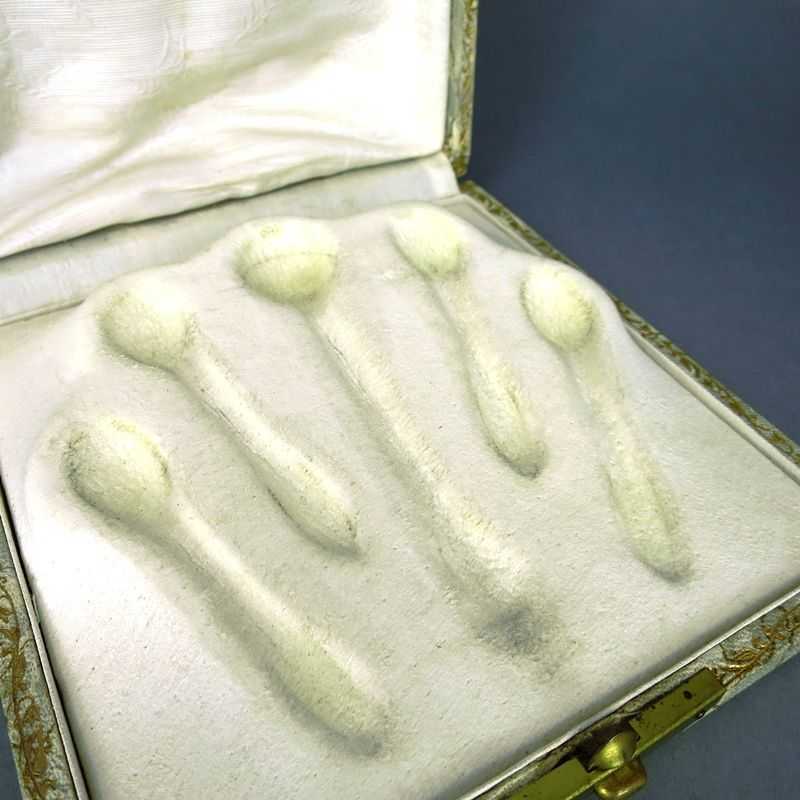 Wonderful set with four salt spoons and a mustard spoon in original box. 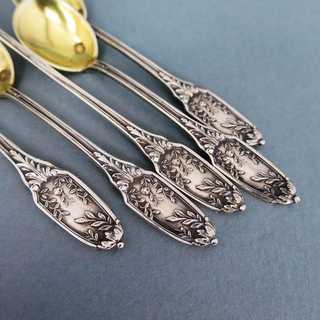 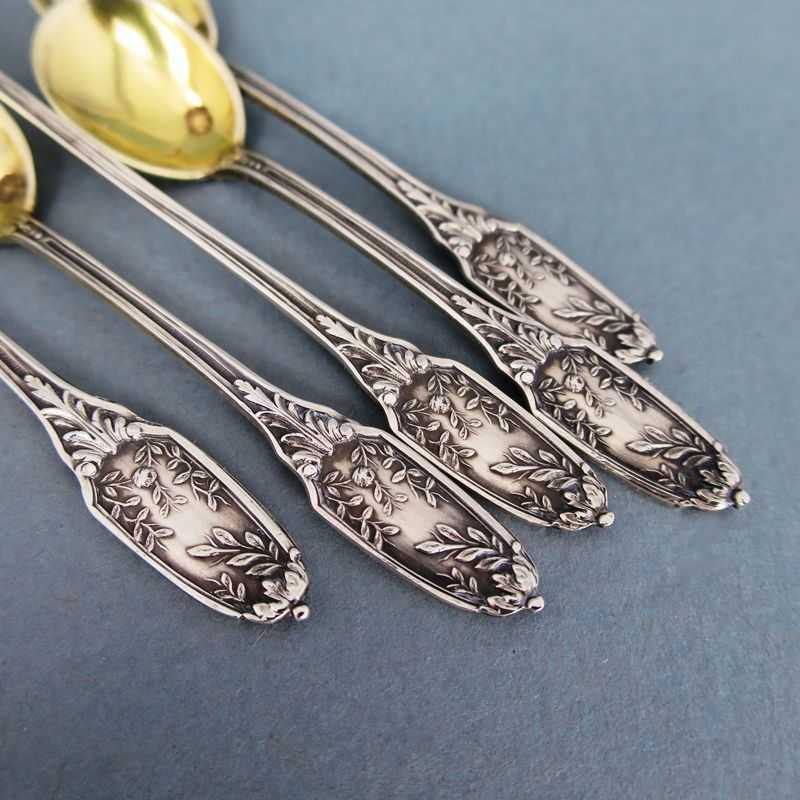 Rich decorated, tongue-shaped handles with delicate leaf and branch relief. 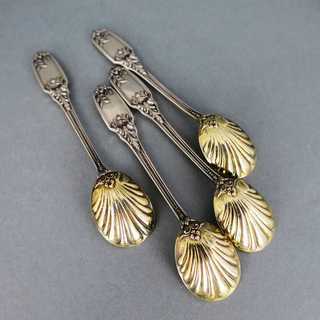 Oval bowls with back side in shell-shape. 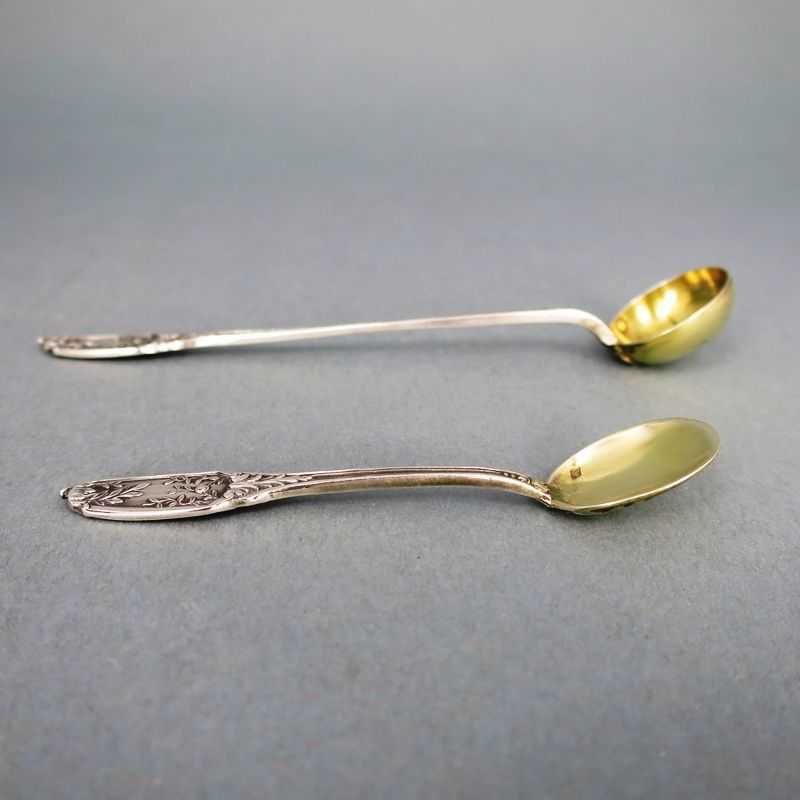 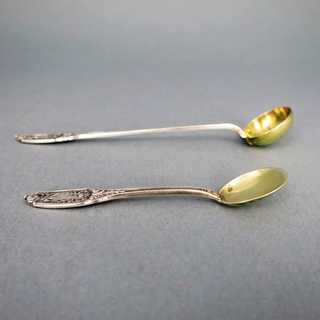 Longer, ladle-shaped mustard spoon with matching handle. 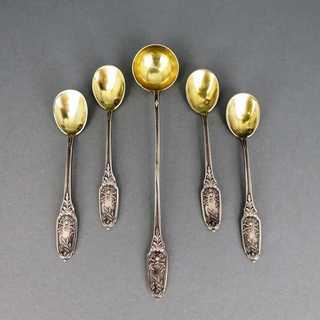 Gold plated bowls. 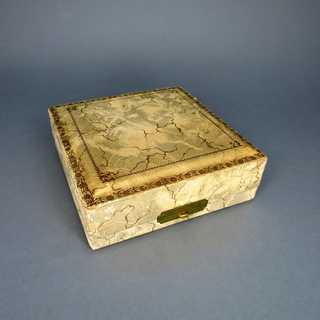 Original etui box, inside lined with ivory-colored jacquard fabric with floral pattern and delicate cream colored goat lether with pressed hollows for the spoons. 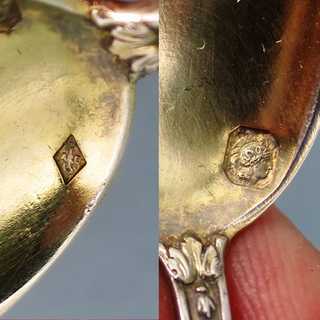 Marked, master mark not known, made in France, probably Paris, about 1890.